Among those who are visible and those who are invisible from common people, its often rare to get a glimpse of their intimate openings and visions in the inner plane. They are not ordinarily shared because such experiences are given as a sacred trust and out of our mind's projection not all can respect that trust. In this episode we are blessed to have Brenda Wentworth who very gracefully agreed to share, may Beloved illuminate her path and bless her both in this world and the next. Brenda's whole life has been a spiritual journey and through her quest finally over a year ago the Creator deposited her into the arms of Islam (the primordial and universal path of divine surrender) and to her it felt like she had finally come back to her "home". Currently she resides at Waterville in New Hampshire, USA. Sadiq: Kindly tell us about Brenda Wentworth, where she was born and raised? Brenda: This is really difficult as I am not comfortable talking about myself and so I am surprised I am doing this because I never do. (But writing is on my mind these days so here goes.) Perhaps it is the therapist in me that prefers to listen to the stories of others. I believe we, all of us, are a compilation of stories. In this life we live many lifetimes and therefore there are many stories that make us who we are. For me not wanting to talk about myself might just be the result of learning not to out shine the woman who gave me birth. My mother was the youngest girl out of 7 children and she was 15 years old when I was born. Since she was considered the baby of the family, and protected because of her plight, there was what I would call sibling rivalry between us. When I learned several years ago that she had pancreatic cancer I went to see her. I remember clearly, as she lay on the couch and I stood in the doorway, she said, “I was so jealous of you--they loved you too much.” I remember drawing a deep breath and thinking - thank God that I was blessed with that love and acceptance. I grew up in a small red cottage located on the outskirts of a rural town which bordered New Hampshire and Massachusetts. My grandparents moved into this cottage when they were married. In fact, I was born there in a small bedroom just off the kitchen. When my grandparents moved into the cottage it consisted of one room and as their family grew so did the cottage - as they kept adding a room here and a room there. Because I was the youngest in this family my early childhood was a bit magical, I lived in my imagination and my aunts, uncles, and grandparents joined me there. 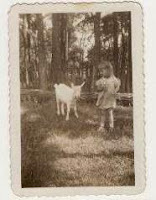 My aunt tells me that when I was very young I had an imaginary friend I called suki and since everyone participated in acknowledging the presence of this friend in all our daily activities my imagination was encouraged and never stifled. I read once that if that part of the brain isn’t closed off when you are a child then your imagination will continue to grow and it can actually be seen in the brains of some writers as the split between the two sides appears to be wider then in the brains of others. Growing up in a world filled with tales of little people, animals, hunting and hunting camps, growing vegetables, cooking, morning glories by the back door and closely in tuned to the life and death cycles within nature certainly formed much of who I am today. I remember lying on the grass with my uncle, Rich, as he pointed out all the different celestial bodies and told stories to go along with them. Walking through the town forest with uncle, Ray, while he pointed out the Indian graves sites and planted black walnut trees like Paul Bunyan planted apple trees. My grandmother’s family was from Vermont and claimed to be of pure English blood though my grandmother would never admit to that - she called us 57 varieties. In fact my aunt told me stories of how upset they were that my grandmother married my grandfather and they practically disowned her because of it. My grandfather was raised by an old Abenaki basket maker, for some reason his family left him behind. He walked the railroad tracks as a boy gathering coal that fell from the trains, never going beyond the third grade in school. He was a boxer, a dancer and owned a diner, which is a small restaurant. His heritage is French and Indian which probably accounts for a fear of authority that seemed to be unspoken but through the eyes of a child appeared mysteriously present in our family. As I look back it seems as if we were a bit clannish in that outsiders never quite made it into the inner circle. I have often wondered if it relates to Native history which was precarious to say the least as the land was being settled and they often passed themselves off as French in order not to be sent to what is now Louisiana - it was their trail of tears. These natives make up what is now the Cajun culture in the bayous of Louisiana. I believe fear can be genetically passed on and that we can see this in the behavior of animals and birds and how they react to humans whether having been exposed to us or seeing a human for the first time. As a young child I slept in the attic. A real attic with open beams and exposed roof which was the only thing separating me from the sky. The ceiling was so low that if you didn’t stand in the peak you would have to bend over. The bed, more like a cot, was pushed to one end under the small window so if I laid down I was level with the window and I could turn my head and watch the night sky. I loved it up there. It felt enchanted - climbing those tiny narrow stairs that went straight up felt like I was climbing a mountain and it was magical. It was there that I would kneel every night and pray that GOD would guide me. And then I would slide under the blankets on the cot and stare into the night sky until I fell asleep. This reminds me that as an adult when I lived for a while in Florida I was disoriented at night because the stars were not where I thought they should be. I was very shy, lacked confidence; felt like I didn’t belong and I definitely didn’t want to draw attention to myself. I did the regular teenage things… went to movies, school functions, was a cheerleader. But always feeling like a visitor - I just didn’t belong and I was always searching for something - some part of me that was missing - a feeling I would get used to because it never went away. I never used drugs or drank and didn’t really even date. I read and read, wrote and wrote, and imagined worlds filled with strange and wonderful beings. I loved the old fairy tales my grandmother would tell me- Albert Einstein said if you want your children to be intelligent read them fairy tales. I am not sure about the intelligent part but to me they are life lessons in stone. I also went through the regular teen struggles. My mother married during my teens and my step father thought it was funny to encourage the jealous streak in my mother as he would compliment me and then laugh when she would get upset. I am fascinated with brain psychology and especially dual brain psychology which is the study of how both sides of the brain function separately. Research has shown that each side of the brain records events of our lives differently. This goes along with my childhood prayer that spoke of the 2 angels that sit on our shoulder one that whispers negative things and can get people into trouble and the other much wiser gives good advice. I am also interested in how in utero the fetus’s brain is programmed. I believe and there is some evidence that the emotions experienced by the mother are passed on to the fetus. These emotions chemically driven by the brain travel through the mother’s blood stream to the fetus. So if you have a mother who is going through emotional turmoil I believe that you can carry some of her anxiety and fears resulting from the interaction between the mother’s blood stream and the fetus. In that way I believe that a lot of our fears, insecurities and even self-esteem are not our own but have been passed to us. That’s why I believe hypnosis works so well on many of those issues. Ralph Waldo Emerson said: “To be yourself in a world that is constantly trying to make you something else is the greatest accomplishment.” I wonder how many actually become the person they were born to be. Oh… just one more thing… as I was writing this I thought how strange that suki is so close to sufi and I now find myself wondering if the people in my life when I was 2 or 3 years old misunderstood what I was saying. Probably it’s just my vivid imagination at work right now… still it does make an interesting thought. Sadiq: Would you please share with us about the dream where you were given the name, Dusty Traveler? The name is so deeply symbolic for the Sufis from many perspective. 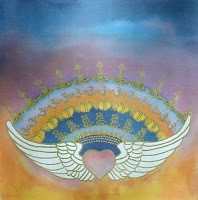 The Sufis likens this human existence from the realm of invisible to this earthy plane with the journey of a traveler. What was shown to you in this special dream? Brenda: I have had many experiences and a lot have been mystical and they are difficult to put to words and if someone told me some of these experiences - I would just think they were just a good story teller… I have had many visions and many dreams and sometimes things just come to me. Your blog on the Divine Hint really resonated with me and could be my life except of course the part about being a saint in order to flow like a river - this I believe “if a Hint is there, I have to do it, and if I don’t, I am MADE to do it. Divine Hint is an Order.” The Dusty Traveler was not the result of a vision or a dream but was one of those things that just came to me. Very simply… I woke up one morning sometime around 1990 hearing the words - The Dusty Traveler over and over. I sat up and before I got out of bed, I wrote it down. I am in the habit of writing down dreams and things that come to me in the night. If I don’t they are gone by the time my feet hit the cold floor. These words felt urgent, very important, as if it was something I needed to do - to act on. Not knowing what to do I kept repeating the words over and over and finally said to myself, Thedustytraveler.com. Since I always follow without question where I am lead, the first chance I got I registered it as a domain name. I always thought I would be given some direction in how it was supposed to be used. I thought maybe it is the title of a book I am supposed to write, but I am not sure… I put it on my website but it doesn’t really fit there - it’s more than that. I thought perhaps I should create a website about traveling… internally, externally, physically, mentally, globally… metaphysically… but nothing has come through. Now there are many dusty travelers online… and I wonder if I should have acted in some way and I didn’t - yet the name still haunts me so I hang on to it. Sadiq: How did you first know or get attracted to Islam? We hear amazing "opening of their heart" experiences, specially those who in the west discover Islam and delight in discovering an oasis along the Path? Would you please share more about your Home Coming to divine surrender? Brenda: I have always been interested in people’s faith and what draws them and holds them. Always peering in from the edge-watching and exploring world religions but not fully participating. At various times throughout my life I have attempted to fit in to the Christian religion… but I always ask those hard questions that alienate me. Questions such as: Who is God talking to when he says in our image? What do you think it means when it says that he created the world and everything in it-- male and female he created them? Who are “them?” What does it mean when God decided there was no man to till the fields and he didn’t want to cause it to rain - was everything growing out of control? When God breathed the breath of life into Adam was that the soul entering the physical body? And do you suppose that moment of the first breath is what programs our organic computer brain and connects us to our source? 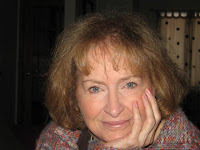 As I wandered over life’s rocky terrain and through many religions there have been many divine hints which I believe were trying to get my attention--come this way - check out over here - and today as I connect the dots I see how they all led me to where I am today. I have been and am a seeker always searching - feeling as if there is a piece of me missing. Never focusing on money or career goals always searching for deeper ways to connect with God… And always trusting and asking for god to see me where he wants me doing the work that he wants me to do. I wandered through every religion and spiritual path… as Rumi says “there are many ways to kneel and kiss the ground.” I read everything I could get my hands on. From the fringes I explored and investigated native religions, Taoism, Hinduism, and Judaism and many others. I prayed with the Lakota on the reservation in South Dakota. I participated in Crow Dog’s Sundance and went on the hill to fast and pray, 3 days and 4 nights. My path never crossed with Islam. I remember while researching and reading about eastern religions, Shinto to Taoism to Hinduism and Baha’i, meditating and studying spiritual astrology, I kept seeing this symbol in my mind. Thinking from my logical mind, I thought it might make a good logo for a business card. Anyway, it was one of those things I believed I needed to hang onto. So I had an engineer friend who was also an artist draw it for me. The symbol depicts the fingers and thumb and a star. It looked like this – take your hand and make a C by curling your fingers and your thumb and then place a star between the tip of the index finger and tip of the thumb. There you have it - a crescent moon and a star. Still I remained oblivious to Islam and the Middle East. I didn’t even make the connection until I began writing this and tracing the dots to where I am now. I was never exposed to other cultures as a child yet because of our own unspoken native ancestry I grew up with an overwhelming respect and quiet reverence for all of God’s creatures. Fast forward to a time I was meditating. Instead of sitting like I usually did I stretched out on the floor and began focusing on my breath. Suddenly I had a vision of a series of doors, something in my mind said pick one - so I did. I remember reaching out and taking the door knob in my hand and immediately like a bolt of lightning found myself surrounded by bright sunlight and sand… there was sand everywhere… as far as the eye could see and I was running barefoot - not watching myself run - I was running. I could see this beautiful thin veil like fabric, a vibrant deep pink and purple, flowing out from around my feet as I ran into this passage way, everything was sandy tan colored, on both sides of me were tan colored walls that I knew would feel rough if I reached out and touched them. It was real, kinesthetically real and so unexpected. I was stunned and immediately opened my eyes and stood up. It wasn’t unnerving - just too real. I see this image now as if it burned into my mind. I don’t remember dreams unless I write them down. But this I can see in my mind’s eye as if it happened yesterday. For a long time I searched for pictures of a place like this… still Islam and the Middle East was the furthest from my mind. I thought perhaps it was just a metaphor for my life… wandering the desert - searching for something for someone. In describing this I am not trying to imply that I believe in reincarnation… though because of my interest in brain function more recently I created a workshop in past life regression. It is a different kind of workshop where I ask people to keep an open mind because I focus on the brain and where in the brain we might carry past memories. In the workshop we explore whether memories are embedded in our DNA, ancestral memories passed down to us, or memories from this life - something we have been exposed to or read- we all live many lives in this one lifetime. What I am saying here in describing this event is that I had a vision of something from very long time ago that feels as if it belongs here in the telling of my journey. All this has me remembering a time I took a workshop from, I think, Michael Harner’s Foundation for Shamanic Studies. We were invited to do a meditation to determine our ancestral tribe. I don’t really remember too much except that it was a silent meditation where you asked the question in your mind and then entered a meditative state waiting for an answer or an image to surface from depths of your unconscious mind. As I sat in meditation I heard very loudly - Ishmael. Well… let me just say that I was really confused and decided that that was just too weird to mention… and I never told anyone at the workshop or since about that because I thought this is a Freudian slip, just synchronistic… an illegitimate child born of a slave women and I born of a girl 15 years old. Still, I remained oblivious to Islam. I had an intense experience during meditation in the 1990s that frightened me somewhat and I couldn’t meditate after that. Wanting some answers my search eventually led me to a retired Catholic nun who teaches world religions. I spent a weekend with her to explore this experience. She said she was very surprised that I would have that experience without really saying why. She said that it was too bad I hadn’t had a spiritual director because she believes it was God coming close and showing me his other side. This is what happened - I was living in Florida and at the time I owned a Native American Art gallery - I would pray and meditate every morning. And, every morning I prayed it was as if I filled with beautiful light… I could feel it coming into me and radiating outward. It was wonderful. Then one morning during meditation a very dark cloud appeared. It was a bit unnerving so the next time I attempted to radiate light towards it but it just kept coming closer. After a few days of this, and not being able to make it go away, I didn’t dare to meditate. Eventually I returned to New Hampshire and in passing someone told me about the Joseph House of Prayer and a retired Catholic nun who teaches about world religions. Still not able to meditate, I made arrangements to have a directed retreat with her. I just wanted to understand what was going on. Not that it helped but it did send me on another search. I was led me to attend a seminary in New York. It is a seminary that focuses on World Religions. In the two years I attended the seminary I kept missing the lectures on Islam. It was difficult to get to New York a couple of times a month and I don’t like cities and the times I couldn’t get there would be when they would have a Muslim or an Imam come to speak. So it seems that if Allah was going to get my attention it needed to happen in a way that I couldn’t avoid it and that is exactly what happened. It was during CPE (clinical pastoral education) at Dartmouth that I really began to understand how my faith ideas differed so much from Christian believers. I always believed in Jesus, peace be upon him, but never believed that he was the only son of God. I always believed that he was a prophet and great healer like many other prophets. I also believed that God gave us different faiths so that people everywhere can believe in something that fits where they were on their soul’s journey. In my innocence I thought I could be honest in the program and so I voiced my opinion. I said that I didn’t think he died on the cross. As their mouths dropped open I didn’t stop talking - I just kept on explaining what I thought happened. It was then that I learned it didn’t matter what others thought about my beliefs because by this time I had researched and read many sacred texts and studied enough to feel strong in my own beliefs. Now we come to Islam. During this CPE program I would go into the hospital chapel to pray and I would look at the prayer rugs that sat piled in one corner and I would touch them and then I would look at the posted prayer times, never daring to go there during the prayer. 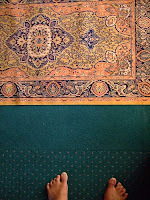 But, those rugs made me very curious… so I began exploring the faith. I really wanted to understand a faith that I really hadn’t been exposed to until now and that it seemed my beliefs since childhood were not very different from the beliefs of a submitter. I read I realized that it was the most misunderstood of all the religions. I began to think how we have the same father, Christians, Muslims, and Jews and I became very curious about how a family feud could go on for centuries all over a conflict regarding who was the “good” son. All this fascinated me so I immersed myself in learning about Islam. I researched - immersing myself totally in the literature, history, documentaries whatever I could get my hands on. I have always prayed and I loved the fact that the Islamic prayer ritual is a full body prayer. So one day in October 2008 I decided I was going to see what this full body prayer felt like. I wanted to perform this ritual in a respectful way and since I am pretty isolated where I live I searched the internet for the clearest directions I could find. This is difficult for me to put into words - but here we are - when I got on my knees I was overcome with emotion…it felt as if all the years between me and that little girl kneeling in the attic vanished. The experience was something I have never experienced in prayer before and I felt as if I had come "home." It was as if something came into me and lifted me up. I was so overcome I didn’t just cry I wept. I have never felt like that before or have been so overcome with such deep emotion during prayer even if I was kneeling. This was different, as if I was flooded with all the feelings I had as a child praying in my tiny attic room. I have been praying in that way ever since. I feel protected and connected to my source. I’m still pretty inadequate at the prayers but I know in my heart its okay. Those whom Allah wills to guide, He opens their breast to Islam.